The busy vacation season is slowing down here, and I hope and pray that the Oasis Church Family has made the most of it and shared seeds of the gospel with as many people as we could. Our most effective ministry was what I called “Walk in Wednesdays.” Every Wednesday night at the Wharf during summer it’s children’s night when they encourage families to come and shop by offering special events for the kids. We used this opportunity to set up at Oasis and give away balloons, offer refreshments and crafts with the kids while engaging people about their spiritual beliefs and relationship with God. Every week we saw God work in a special way. Sometimes we could share the plan of salvation or sow little seeds and other times we were able to encourage and pray with and refresh other believers. As the season changes our methods change, but as always the message is the same — Salvation by grace through faith in Jesus Christ alone. We are gearing up for ministry to the more permanent residents and our winter guests as they return from the northern states. One thing about ministering here is learning the culture and the culture is in constant change mode. Every month there are new guests, big events, new residents, and people coming and going. It is both a challenge and a blessing. I wonder if this is the kind of ministry atmosphere that the Apostle Paul experienced when he was in Rome, such a transient and busy place. 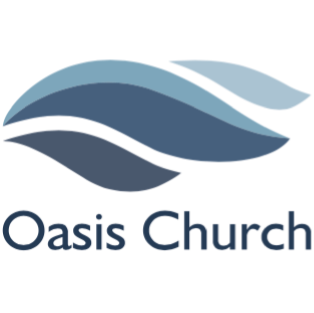 I have made a list of what is happening at and through Oasis Church over the next few weeks so you can partner and pray with us as we expect God to do great things for His glory. Our goal is to be a simple but complete church family with the main things as the main things. We try to incorporate worship, discipleship, evangelism, ministry, and fellowship in all we do, to be a church that exalts Jesus, edifies the family of God and evangelizes the lost. Sunday, August 20th — Cookout and swim party for everyone at Jim and Liz’s home following the worship service. – Children’s Bible Study –- Children will learn new Bible lessons and stories. Tuesday, August 29th, 5:30 PM — Gulf Shores Middle School service ministry. Sunday, September 3rd — Labor Day Street Party at the Wharf. We will be serving and sharing the love of Jesus Christ at the big event. For more information you can visit us at www.oasischurchsbc.org. Finally, we are so excited that our son Hunter has just moved down to serve with us at Oasis. Pray for him as he adjusts and finds what the Lord has for him here. Also, Houston and Sarah as they plan and prepare for their wedding in November. Thank you for your concern and prayer for our family and the ministry of Oasis Church! May God richly bless you with His grace and peace through Christ our Lord, Amen.